Our third Report Card on Beaches looked at the seven municipal swimming beaches with an eye toward trends across six years. 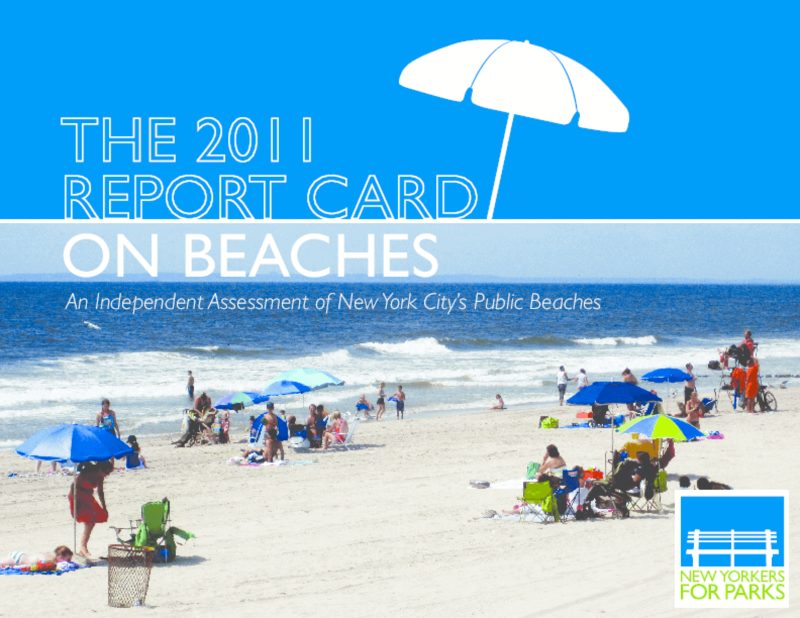 The average beach score increased from an F in 2007 to a B+ in 2011. Henry and Lucy Moses Fund, Inc. Copyright 2011 New Yorkers for Parks.